A "font" of information on lettering styles! 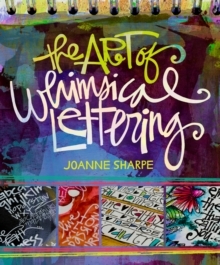 The Art of Whimsical Lettering is an artful instruction book on creating stylized fonts and expressive artwork with personal handwriting skills. 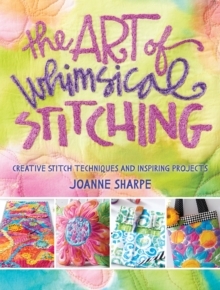 Author Joanne Sharpe shows you how to create exuberant and personalized writing styles for your artwork-whether it be a journal, canvas art, or other projects that use text. 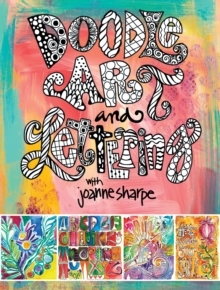 After an overview of Joanne's favorite tools and surfaces, take a peek into Joanne's personal lettering journal to discover how you too can collect inspiration, hone your lettering skills, and tap into your natural creativity. Joanne then demonstrates twenty art techniques for creating a variety of lettering styles using many different tools. 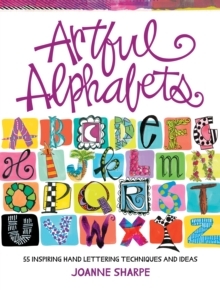 She provides you with fifteen basic alphabets, ranging from simple pen-and-ink renditions to increasingly elaborated texts that reference calligraphy, vintage fonts, and doodle art, among other styles. 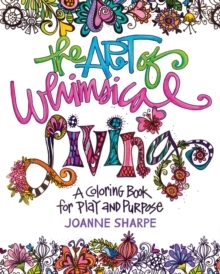 Joanne also teaches you how to turn prosaic lettering into page art itself, merging text into illustration, or ornamenting words with decorative drawings.